Home › Investing › What Are The Best Money Saving Apps? Do you shudder at the thought of noodling over a budget on a Saturday afternoon trying to puzzle through how much you should save each month to meet a financial goal? The thought of tracking daily expenses to come up with a savings amount needed to buy a new car, pay for college tuition, or fund a new vacation sends shivers down many people’s spines. But what if you could wave a magic wand and squirrel away a few nuts almost effortlessly? Imagine a way to build up a nest-egg without needing to think about it day-to-day. Some of the best money saving apps will do just that for you. With very little effort at all on your part, these mobile apps will vacuum up nickels, dimes and quarters and then some to help finance upcoming events and payment obligations. Best of all, you will hardly notice the extra savings as they get whisked from your bank account to your investment account, so you get to enjoy the best of both worlds: a nest-egg that grows with virtually no need for you to lift a finger. WHAT ARE THE FEES AT STASH? If you struggle to save, Acorns is your holy grail. Acorns is a mobile app that connects to your credit and debit cards. When you buy something, your purchase price gets rounded up to the next dollar and the loose change is invested. College kids with valid .edu email addresses qualify to use Acorns free for up to 4 years from the date of signup. For everyone else, Acorns costs just $1 monthly for amounts up to $5,000 and 0.25% of assets for amounts of $5,000 and higher. 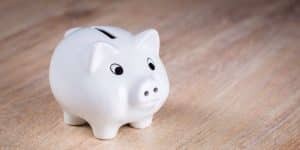 It is hard to knock a monthly charge of $1 but it is worth mentioning that a cost of $12 annually amounts to a hefty fee of 1.2% on a piggy bank of $1,000. Compared to the best robo-advisors for fees, that percentage cost is expensive. Keep in mind that robo-advisors perform a different service, so if you want to round up loose change and invest it, Acorns is the best choice. Plus, the cost becomes very reasonable on higher balances. A $3,000 lump sum would incur the same $1 monthly charge, which translates to just 0.40% annually. 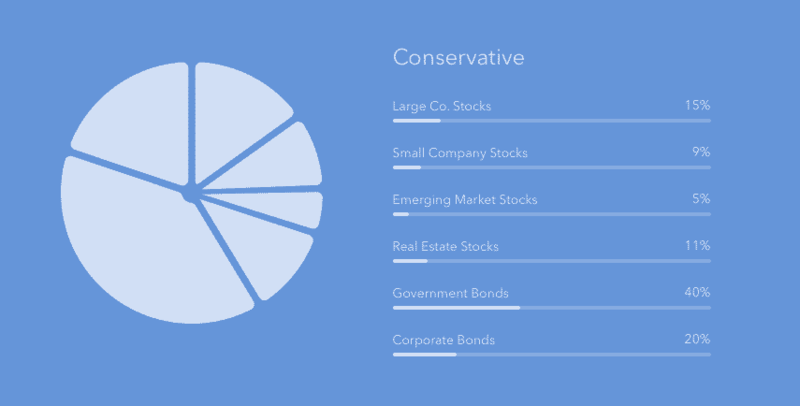 Acorns invests your money across asset classes using exchange-traded funds, or ETFs. Acorns gets high marks for convincing Dr. Harry Markowitz to join its board. He is the father of Modern Portfolio Theory and won the Nobel prize for his research – which is used by most robo-advisors. Now let’s say you head out to buy a sandwich that costs $7.60, Acorns will round up that amount to the next dollar, take the balance of $0.40 and add it to what they call your Round-Up balance. Once your Round-Up balance reaches $5, the monies will be swept from your bank account into your Acorns investment account. A nice feature at Acorns is that you can transfer lump-sum amounts too. So, you are not restricted to investing just the spare change from transactions but can deposit say a $5,000 lump sum or more if you wish too. Acorns partners with a bunch of companies from Hulu to Airbnb to provide you cash back by linking Acorns to partner accounts. As with any investment account, there is some risk of exposure to the stock and bond markets, so if you want to squirrel away some nuts without taking any risk, Acorns may not be the best money saving app, but for those who can tolerate stock market swings, Acorns is hard to beat. Stash Invest is better known simply as Stash and is a mobile app that simplifies on-the-go investing. Stash is one of the best investment apps for anyone who wants to save and invest easily, learn how to make smart investment choices, and cares about how their money is allocated. The Auto-Stash feature qualifies the app as one of the best money saving apps. You can take a step back from manual investing and, with the push of a button, enable Auto-Stash. Simply pick a fixed dollar amount you can afford to invest regularly, and Stash will sweep the money from your bank account and invest it according to an allocation that matches your financial goals and risk profile. Like Acorns, fees at Stash are an affordable $1 monthly for amounts under $5,000 and 0.25% of assets for amounts of $5,000 and above. For very low account balances, other robo-advisors are a better deal. For example, Betterment charges 0.25% annually even on amounts under $5,000 (whereas Stash, like Acorns, would cost 1.2% annually for a $1,000 account balance) but once you cross that threshold level, costs are about equal. You don’t need much to get started at Stash. Deposit $5 and you’re all set to go to begin investing! Stash uses fractional shares which means that you won’t have idle cash in your account but instead your monies will be fully invested. Where Stash wins brownie points is its highly intuitive investment choices. If you want to invest in environmentally friendly companies or gain exposure to China, it is easy at Stash. A broad list of thematic investments are available at the virtual push of a button at Stash, so you won’t be left wondering how your money is allocated. A bunch more thematic investments are available including Blue Chips, Conservative Mix, Global Citizen and Internet Titans. In fact, if you can dream up a theme, Stash probably caters to it already. Beyond thematic investing, you also get the bonus of an extensive free educational resource library. If ever you wanted to learn how to better invest in the stock and bond markets, but didn’t want to pony up a lot of money to finance your education, well Stash might be your answer. The education isn’t structured especially well. It is more like a collection of blog posts but it is easily searchable and if you want to discover and learn about a particular aspect of investing, such as retirement investing, you can do so easily. Unlike Acorns, which supports taxable accounts only, Stash caters to Roth IRA and standard brokerage accounts, so you can deposit after-tax funds into a Roth IRA and enjoy tax-free growth on earnings. ‹ Is thinkorswim The Best Options Trading Platform?